Comes in cardboard fold-out sleeve. 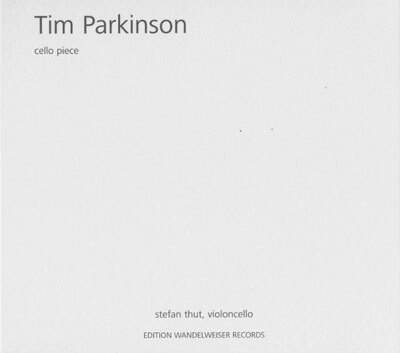 Cello Piece (2004) was recorded in Solothurn, April 2006. Cello Piece is made up of a complete performance of twelve pages of music which may be played in any order. On this CD, each page is a single track. For authentic experience of this piece on CD it is advisable then to play the tracks in a random order for each time. Each track is a potential beginning, middle or end. There is no single preferred path through the piece.